Realtors® ensure high standards of professional conduct to serve the interests of their clients and customers. All Realtors® must know and comply with the Code of Ethics, which goes beyond state licensing requirements. The Code predates real estate license laws, and when these laws were established, many were based on the standards set in the Realtor® Code of Ethics. Realtors® must complete ethics training by taking at least 2.5 hours of instruction at least once every four years to retain membership in the National Association of Realtors® (NAR). A Realtor® is subject to disciplinary action if a local association of Realtors® finds him or her in violation of the Code of Ethics. 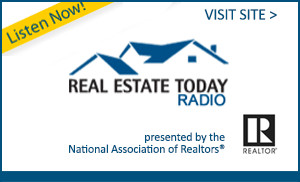 Real estate professionals who are not Realtors® do not subscribe to this Code. Many difficulties result in miscommunication and can be resolved through speaking directly with the Realtor® or with a principle broker (managing broker/owner) in the firm. If you are still not satisfied, you may want to contact LABOR to have an informal dispute process scheduled to resolve the issue or you may want to consider filing an ethics complaint.